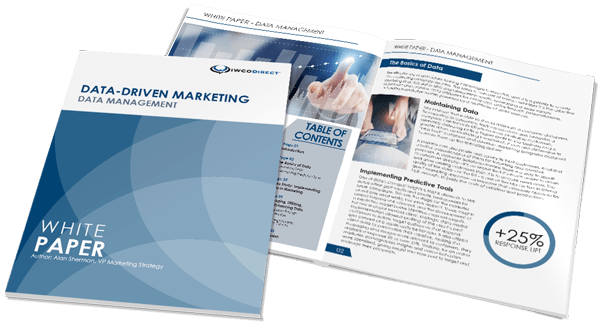 There are many organizations working behind the scenes to support the direct marketing industry. To give readers even more insight into their important efforts, we are spotlighting a few of them here at SpeakingDIRECT. Today we’ve invited David Steinhardt of Idealliance to explain how the organization helps create a more compelling graphic and visual communications industry. On July 1st, two of the industry’s leading associations, Epicomm and Idealliance, merged to form the “new” Idealliance, a comprehensive association of about 3,000 member companies from all segments of the graphic and visual communications supply chain – whose members create and distribute 60 billion pieces of mail each year. The new organization’s resources, together with its varied member communities, will enhance Idealliance’s continued efforts to increase the efficiency of the mail (and digital) supply chain, from content creation to production to distribution. Our new mission is to provide an open and cross-industry platform for motivated professionals to create a more sustaining, competitive, and compelling graphic and visual communications industry. The Association capitalizes on our integrated capabilities to advance proven technical and management best practices, deliver best-in-class research, education, and certification, and lead a connected community toward innovation and inspiration. Continuing our tradition of member engagement, Idealliance is maintaining and expanding our many member-driven workgroups, including the Postal Operations & Technologies Council (POTC), Mail Software Development Group, Mail.dat/Mail.XML Working Group, and others concentrated on mail- and postal-related issues. POTC, led by co-chairs Phil Thompson from Quad/Graphics and Rose Flanagan from Data-Mail, consists of a diverse membership base which gathers quarterly to execute an ambitious agenda focused on the combined efficiency of mail production and distribution by the industry and USPS. In addition, Idealliance creates and maintains the Mail.dat and Mail.XML specifications that define the digital highway for mail preparation and acceptance. Current USPS proposals to enforce standards for address quality, including the establishment of stricter quality standards and postage penalties for excessive outdated addresses. The draft publications produced by the Postal Service to provide comprehensive technical information about Full Service Intelligent Mail. Changes to current USPS data systems that could impact both postal software producers and their client mailing service providers. Proposed changes to postal rate structures that may be included in the next price change filing, expected this fall. POTC is monitoring these issues, both for their potential impact on member companies who print and produce mail and on those companies’ clients. The improved service and mailstream visibility enabled by Intelligent Mail, the reduced costs and improved deliverability of enhanced address quality, and changes in postal pricing and eligibility standards, will directly impact member companies and the whole supply chain. Idealliance is working to ensure that any such impact is positive, collaborative, and constructively developed with the mail industry. Since 2001 David J. Steinhardt serves as President and CEO of Idealliance, an industry association with nearly 3,000 members engaged in media creation, production, and distribution. Committed to the guiding principles of collaboration and innovation, Idealliance advances proven technical and management best practices, delivers best-in-class research, education, and certification programs, and leads a connected global community of motivated professionals. Under his leadership, Idealliance has grown its platform and influence through global alliances and mergers, cultivated new training and certification programs advancing professional skills and workflows, and innovated technologies integrating print and digital. He can be reached at dsteinhardt@idealliance.org.